New post up over on Medium – take a look. Today, after much thought and with great sadness I tendered my resignation of the Labour Party. It is with great regret that I have decided to tender my resignation of the Labour Party. I have long held the values of the Labour Party as my own. A strong community; rewarding hard work and endeavour; the notion of people contributing in the good times and being looked after in the bad. Perhaps most of all, a belief in social justice and the sense of fairness. I would add to these a belief in internationalism – that those in Aleppo or Sana’a are as much a part of our community as those in Aylesbury or Sunderland. Over the last 14months I have watched as the party has moved away from many of these values. The hard work of successful people in business sneered at. Tolerance and fairness replaced with violence, threats and discrimination. Internationalism trumped by protectionism. At the same time Labour seems to have given up any desire to govern, content instead to be a constant, if inconsistent, voice of opposition. Happier sniping from the sidelines than taking on the hard work of building a fairer, more equal society. Britain is facing some of its greatest challenges – A sluggish and unequal economy. An education system that fails our young. An NHS bursting at the seams. A pensions time-bomb. A housing crisis. All of which exacerbated by the uncertainly of Brexit. The Conservatives have no answer to any of these challenges. Their economic policy lays in tatters. Their vision for the future of education is to look back to the unfair selective system of the past. They have a health secretary at war with junior doctors. Pensions and housing barely get a mention. And there is currently no strategy for Brexit that will not tear both the country and the Conservative party in two. An increasingly disenfranchised and distrustful population is crying out for change. Craving a party and a leader with a positive vision for the future. The sad reality is Labour and Jeremy Corbyn are unable and unwilling to provide this vision. I have been asked by people I care about and respect to stay and help fight back against those who are destroying the party. And for all those who do I have nothing but admiration. However, the truth is, should there be an election in the coming months, I am not confident I would be able to vote Labour. A vote for Labour would be an endorsement for Jeremy Corbyn’s leadership and political philosophy. A leadership and philosophy I believe would take the country in a wrong and dangerous direction. With this in mind it is simply untenable to remain a member. I wish you the very best of luck in the future. I’ll come out from the start and admit that I (proudly) gave Stella Creasy my first preference for deputy leader of the Labour Party, though Tom got my second preference. After what has been a long, long campaign for all of us, most of all the candidates, Tom returned to his Black Country home for his final speech of the campaign. It is well worth a read. The stand out section for me was on Labour’s 13years in power, which I’ve copied below. We made some mistakes in government. But does that mean the entire 13 years of Labour government is a source of shame to me? No, it certainly doesn’t. etc etc etc. And the longest uninterrupted period of economic growth in memory. I took this photo earlier looking up from just outside my front door. 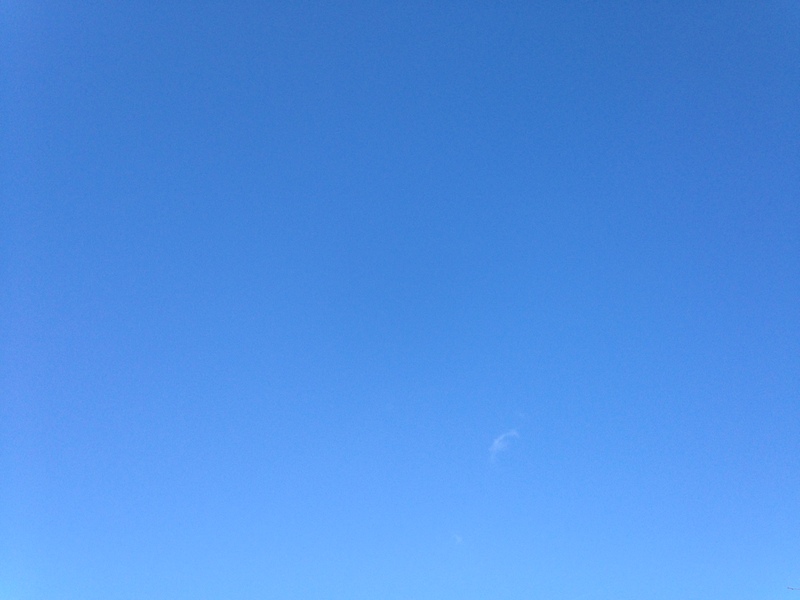 Clear blue sky! It has been a glorious day in London – more of a spring day than a winter one. As a result everyone I’ve met has been just a little more cheerful. I saw strangers on The Strand making eye contact, even allowing a small smile to appear on their faces! Thank you sun and blue skies for making London a happier place. This weekend has been taken up almost exclusively by spending time with different neighbours. Then today, after a quiet morning, we went for lunch at the house of the parents of one of Josh’s school-mates – again, there were about 20 of us there, over half of whom were children. 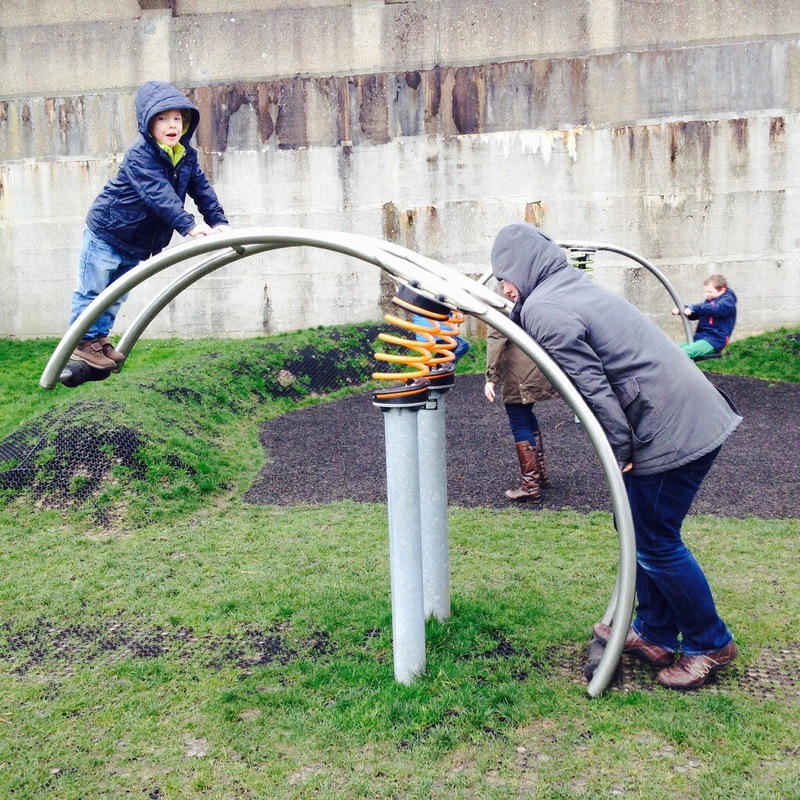 It was the kind of relaxed, informal carnage you learn to enjoy as a parent, and topped off with a trip to the park. (See photo below). Finally, we were booked in for afternoon tea at another set of neighbours, just across the road. A chilled and lovely way to finish off the weekend. When we first moved to Chiswick we hoped it would become a long-term home – and that’s exactly what it’s proved to be. We are incredibly lucky to have made such a huge number of friends, some of which I already count as amongst our closest, and I look forward to many more weekends like this in the future. Beer, friends (including two Ireland fans) and a cracking result.